Imagine you are working late on a big project for work. Left alone at your home is your teenage daughter. She decides to go meet up friends when she realizes you will be working late again. As you are driving home you start to get excited to be able to see your daughter and just relax for the rest of the night. You start walking to the door and search for your keys in your purse. You suddenly realize that your house key is missing. You remember that you had hidden an extra key under the doormat because your daughter always lost her key. When you go to check you realize the extra key is no longer there and no one is home. How are you supposed to get inside? It is very dark out and your neighbors are not home. What do you do? The first thing to keep in mind is to not panic. You should remember that this happens to everyone at some point and it can be easily fixed. As long as you have a phone you will be ok. After you have calmed your nerves, pull out your cell phone and call 411. We are assuming that you do not have a local locksmith on speed dial. 411 will be able to connect you to a twenty-four hour locksmith in the area. Once you have found a locksmith and before you tell them where you live, ask for their license number. The reason you do this is because all trustworthy locksmiths will have a license. If they dance around the subject or refuse to give you the number, hang up and try calling 411 again. Locksmiths without a license are usually offering cheap jobs and might try stealing valuables from your house. Rather than put yourself in more danger than you already are, ensure you are hiring a licensed locksmith before you give them your address. Once you have found a professionally licensed locksmith, you will have nothing else to worry about. Most likely the locksmith will show up quickly. You should not have to wait more than approximately twenty minutes. The locksmith will show up with the tools they will need to pick your door lock. If they are good at their job they should be able to pick your lock without ruining the whole lock. Once your daughter comes home, ask for her house key and take it to a nearby hardware store the next day to get a copy made for yourself. 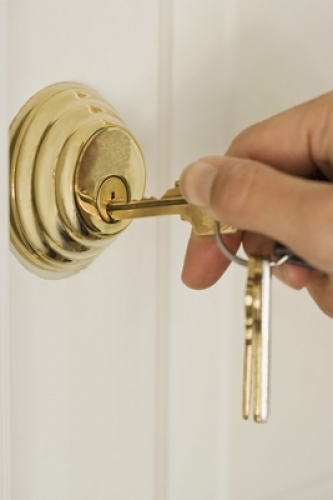 If you are scared that someone might have your house key, locksmiths are always prepared to replace your door lock. I own and operate Gilbert Locksmith Pros, a full service locksmith company based out of Gilbert, Arizona. We offer 24 hour commercial, residential, and automotive locksmith services and maintain high-quality standards and great prices. We are a very reputable company for all your lock, key, security, and garage door repair needs in Gilbert, AZ. Give us a call today and see how we can help!